This Recipe is from our Beyond Gluten Intolerance Book. 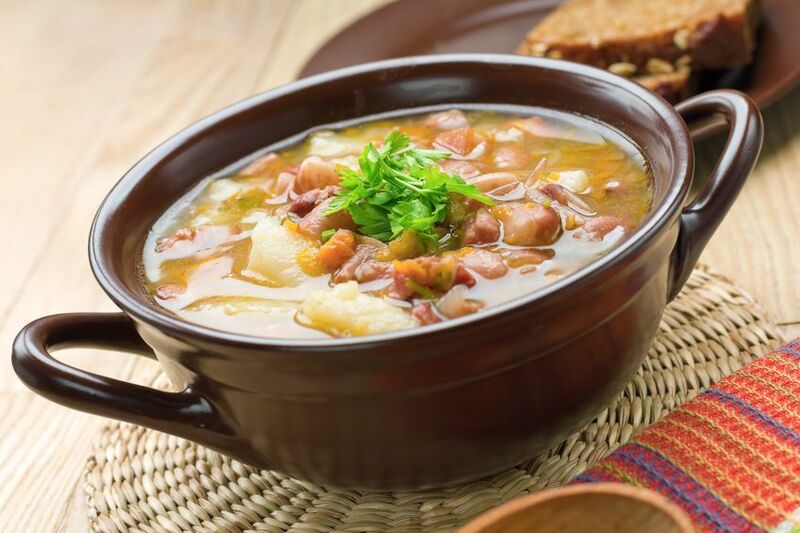 Warm up this fall with this comforting Classic! It's nutritious and delicious! Posted on September 28, 2017 by Aloe Life International Inc.
Gluten Free to the Rescue for Families! The results of reducing gluten for my family with aloe vera and diet changes were dramatic! This included improvement of allergies, lung and asthma symptoms, skin issues, behavior, attention span, less frequent colds, and it gave constipation relief. * Whole grains including oatmeal and brown rice. * Reduce Cow's Milk, soft cheese and yogurt. 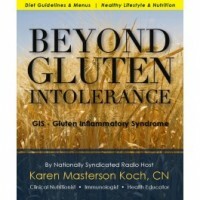 When Karen Masterson Koch Clinical Nutritionist at Aloe Life wrote her book, "Beyond Gluten Intolerance", in 2012 I have to be honest I knew nothing about gluten besides that its found in bread! My youngest son at the time had just turned 2 and my older two children were 7 and 5. I had been raised eating and enjoying vegetables but we also ate brown rice and whole grains. I remember a birthday when my mom baked me a whole wheat birthday cake to squeeze in her healthful influences for the neighborhood children! As a young adult I swayed away from Whole Grains because my husband and I prefer the taste of White Bread and Bleached Pasta and White rice. Little did we know - that was a better choice verses the Whole Grains which were being promoted as healthier! My husband and I enjoyed a variety of proteins which is still a very important food group for every family. Yet the biggest hurdle was trying to get in enough fruits and vegetables we thought! It wasn't until we had our own kids that I realized how much of a big impact food choices make on one's health including GLUTEN! What I soon began to learn from reading Karen's book about Gluten and Health, turned my mind upside down on how I was to feed my family! Posted on September 21, 2017 by Aloe Life International Inc.
Aloe Vera Juice concentrate is a work horse that helps in so many ways to increase immunity in the immune system. The Immune System is the system of specialized cells and organs that protects people from outside biological influences. When the immune system is functioning properly, it protects the body against bacteria and viral infections, destroying cancer cells and foreign substances. If the Immune System weakens, its ability to defend the body also weakens, allowing pathogens, including viruses that cause common colds and flu, to grow and flourish in the body. As a working mother of four children I am shocked to hear that Pediatrician's state that it is common for children to get colds every six weeks! Frequent colds can be very disruptive to your routine and lifestyle. I am relieved to have found natural remedies to help boost immunity. Posted on August 23, 2017 by Aloe Life International Inc.
Posted in and tagged Aloe Vera Supplements on July 31, 2017 by Aloe Life International Inc.
As many of you know, I’m a health geek. Big surprise, right? Through the years, my approach has always been, “How can I make (this) healthier?” That applies to whatever I’m doing: cooking, cleaning, drinking water, breathing air, gardening, on and on. It may surprise you, or maybe not, but I’ve taken that same approach to performance enhancement. Posted on February 13, 2017 by Aloe Life International Inc.
"If you don't have your health - it's challenging to have anything else!" Aloe Life developed out of a dream to help make our world population healthier! Our mission is to help visitors live a healthier lifestyle through empowerment, knowledge, and fantastic aloe vera products! Why use Skin Gel Aloe Mist? Why take Aloe Boost ? Aloe Gold Tablets to Optimize Health! Why Start Taking Aloe Life Daily Greens Today! Why Choose Aloe Life's Aloe Vera?